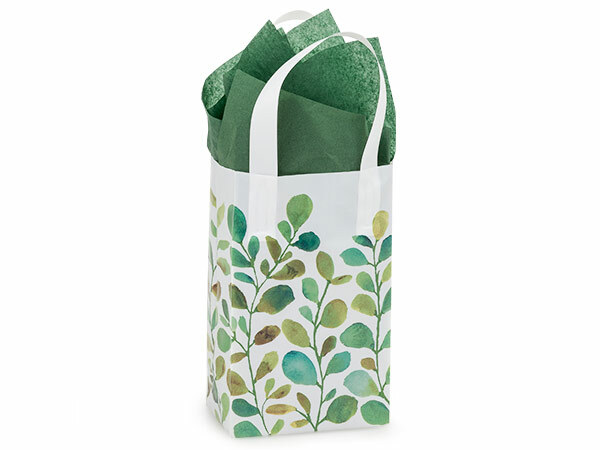 Rose sized Watercolor Greenery plastic gift bags are made of 3 mil white plastic. Each bag features a hand painted vine design growing up the bag. Bags measure 5x3x8" and are bulk packed in cartons of 250.